But when made well it doesn’t taste anything close to horrible. 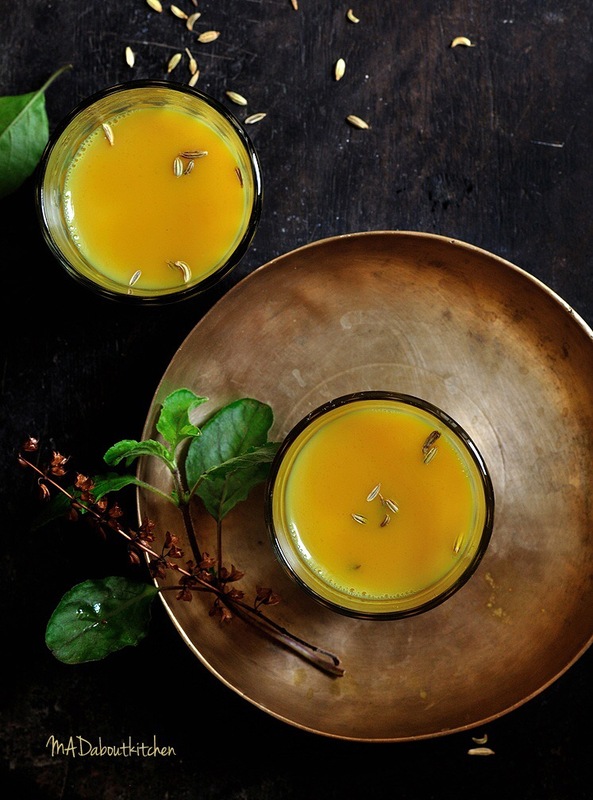 There are various ingredients and combination that goes into making kashāya. Based on my very minimal knowledge of ayurveda, i work out these combination. There are few ingredients that are common, like turmeric, cummin seeds. Pepper, ginger are used when your cold is due to cold and not due to the heat in the body. 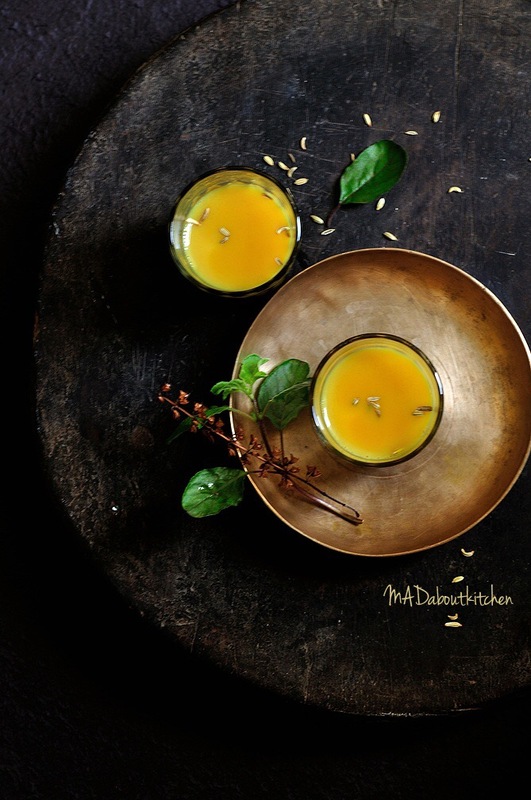 As these ingredients are hot in nature, you add it to the drink only if your cold and cough is due to cold weather or because of having cold food. 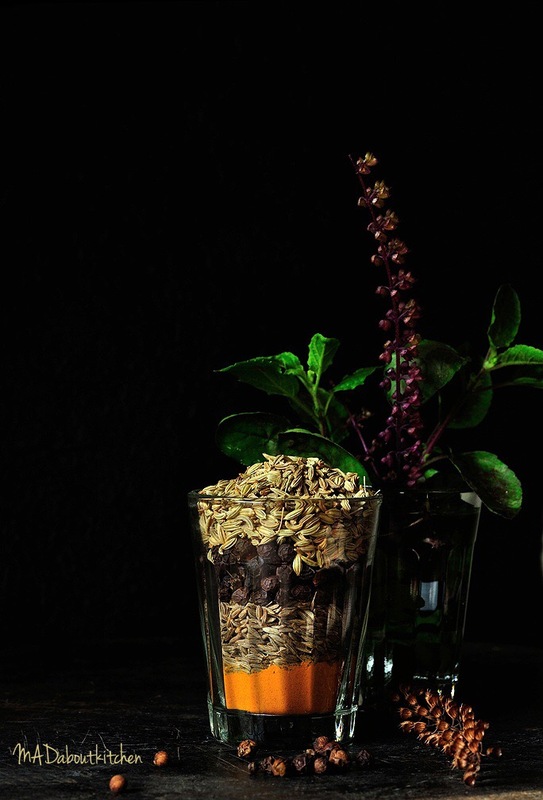 Tulsi, also known as indian basil is said not to be mixed with milk. So if you are using tulsi then do not add milk to the Kashāya. 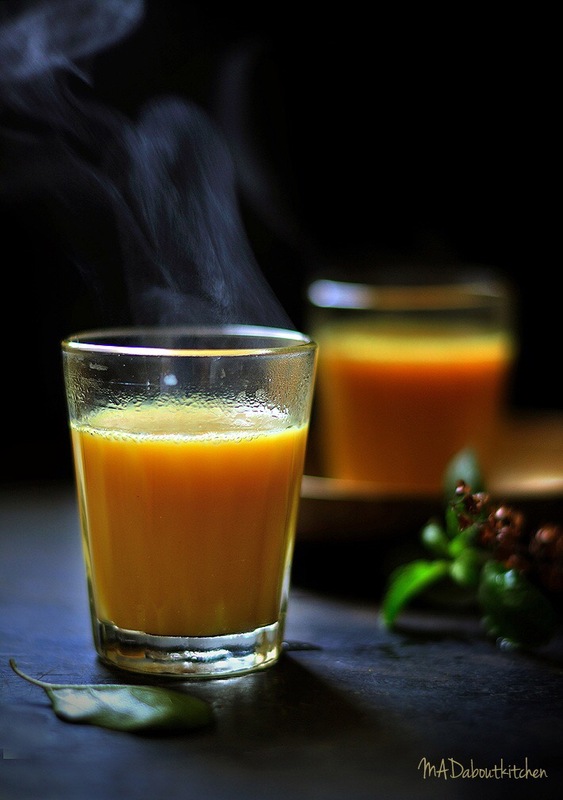 Have this drink hot and it gives you relief from cold, cough, phlegm and sore throat. At home I have this minus pepper and ginger, just jeera kashāya every evening. I love this drink. Hope you will too. 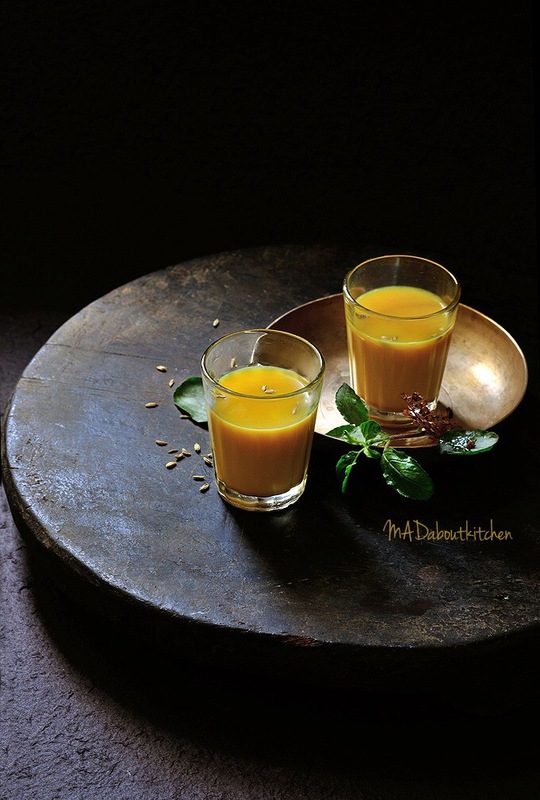 1 tbsp – Jaggery, or more to suit your taste. Crush cummin seeds, peppercorns, saunf and ginger (if using) in a mortar pestle into a coarse powder. Boil this powder in a cup and a half of water along with turmeric. Let it boil well till the spices give out all the flavour. Add jaggery and boil further till jaggery is disdolved. Add milk and boil for a minute. Add tulsi to the kashāya and switch off the heat. Strain it and serve pipping hot.